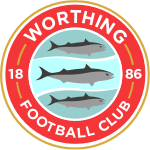 © 2018 Worthing Football Club Ltd. Registered in England, company no. 02729719. Limited by shares. Majority shareholder: George Dowell.